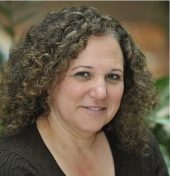 Martha (Marty) A. Rubenstein joined URA on August 1, 2017 as Chief Financial Officer/Treasurer. Ms. Rubenstein previously served at the National Science Foundation (NSF) as Office Head, Office of Budget, Finance and Award Management (BFA) and Chief Financial Officer for more than seven years. BFA is responsible for NSF’s budget, finance, grants, contracts, grants policy and cost analysis as well as the business aspects of NSF funded scientific facilities. She was very active in the federal financial and academic research communities including as a member of the Association of Government Accountants and as co-chair of the Finance Committee of the Federal Demonstration Partnership. She also served as the NSF Budget Director for thirteen years with a sabbatical at Stanford University in 2006-2007. She began her Federal career at the Bureau of Labor Statistics, Department of Labor, responsible for budget analysis and management information systems development. She then served at the Office of Management and Budget, Executive Office of the President (OMB) and directed OMB’s decision support system. She was also OMB’s fiscal liaison to Vice President Gore’s National Performance Review. Ms. Rubenstein earned a BSBA in Finance and Economics at The American University and a MBA in Information Systems Management at the George Washington University. She was also honored as a recipient of the Presidential Rank Award for Meritorious Executive.